Being a fan of the 1995, Terry Gilliam movie, Twelve Monkeys, when I discovered SyFy channel had adapted it into a TV series, 12 Monkeys, I was interested to see how that would pan out. Although the show has been aired in Australia on free to air TV (I'm pretty sure I've seen it listed there at ridiculous hours on occasion), it's only recently that the first two seasons were added to Australian Netflix. So I added it to my list of shows to watch. This article is not so much a review of the show, rather it's my thoughts on adapting to the TV version after being a big fan of the film. At this point, I've only seen all of season one and the first episode of season two. 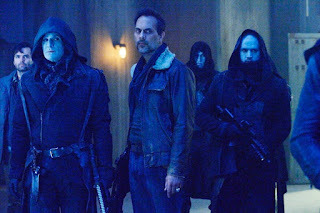 Going into the TV series I literally went in cold, not knowing anything about the approach to this adaptation from pre-publicity or trailers beforehand. I didn't really have any expectations other than wondering if the show would stick to the movie plot lines closely and, if they did, how would they make the show surprising if you knew how the film ended. This is not your Grandaddy's version of Cole. Right from the first episode it becomes apparent that the show's creators weren't that interested in simply adapting the film into an extended TV series. 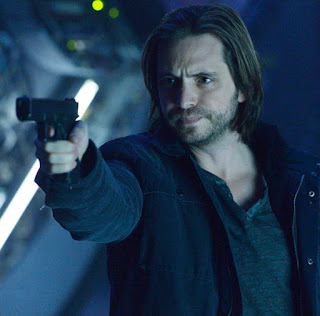 As soon as you meet James Cole (played by Aaron Stanford) it's obvious he's not the disorientated, reluctant and less capable version played by Bruce Willis in the movie. This Cole is focussed, calculated and has a clear purpose that he's dedicated to. Stopping the virus. I must admit that initially having such a different version of Cole was off putting. I liked Bruce Willis' version quite a bit because that character never seemed quite sure of what he was supposed to be doing beyond gathering information. I still feel the TV series would be more compelling if TV Cole was more like the movie Cole. 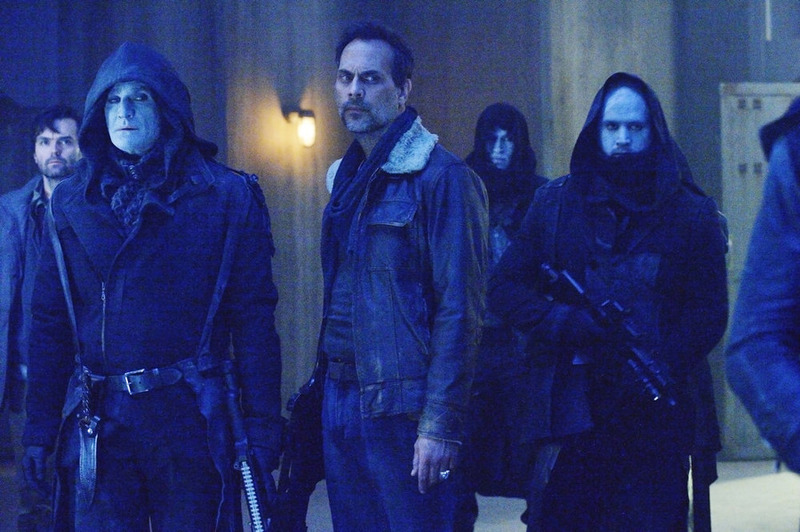 However once you discover that Cole's relationship to his time travel machine creators is also vastly different from the film you quickly begin to realize that the TV version of Twelve Monkeys has clearly decided it's going to be its own thing. It has familiar elements and characters from the film but that doesn't mean any of them will go on the same journey as they did in the film. I wrestled a little with disapointment about all the changes through the first few episodes but, once you get past that, you get a compelling time travel show where it becomes interesting trying to keep track of the various time lines. any of 'em in the movie! By the end of season one the show barely resembles any of the events in the movie with only the main goal of trying to stop the spread of the virus being the common thread, still intact. Everything else has pretty much become its own thing within the TV version of the story. In the end that was a smart move because people like me, who have seen the movie multiple times, can enjoy the TV series knowing that they don't know what's coming. If you're a fan of the film, definitely check out the series. You may initially be disappointed with it but if you can ride that out it does become compelling in its own right. If you've never seen the movie then I'd suggest not watching it before this series as it'll only set you up for disappointment. In my opinion the movie has two of the best performances in Bruce Willis as Cole and Brad Pitt as Jeffrey. You'll miss that version of Cole in the TV series and, Emily Hampshire, who plays a gender swapped version of Jeffrey, feels a little like she's doing an impression of Brad Pitt's version of the character. Which is not to say she's no good but, she's not Brad Pitt. It may have been better if she'd found her own interpretation of such an unstable character. 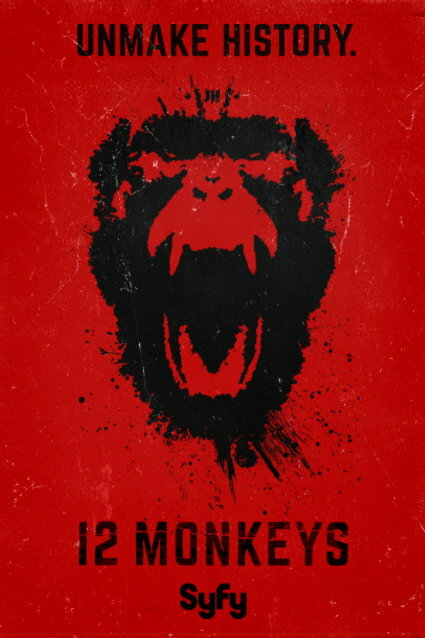 Twelve Monkeys is currently in its third season and well worth a look if you like wrapping your mind around time travel timelines.